Happy 12 Year Anniversary to my sweet husband! We are pretty low key when it comes to gifts - we always prefer items handmade because it means more and it gets us to think of things to make for around $20. With 3 kids under 8, we certainly don't need any more stuff in the house! I came across this cute gift on Pinterest and decided to make one for my husband. 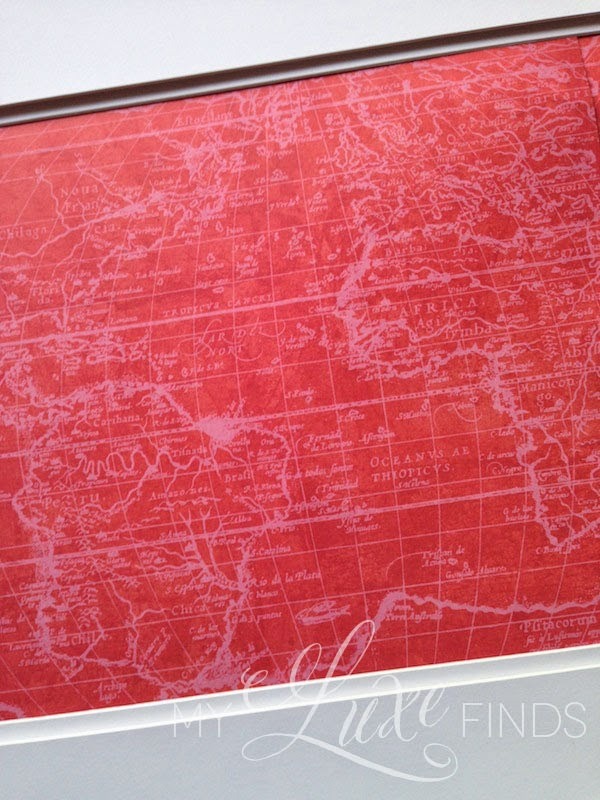 It was easy to make - I bought a frame, a world map, some scrapbook paper, glue, and a heart punch. 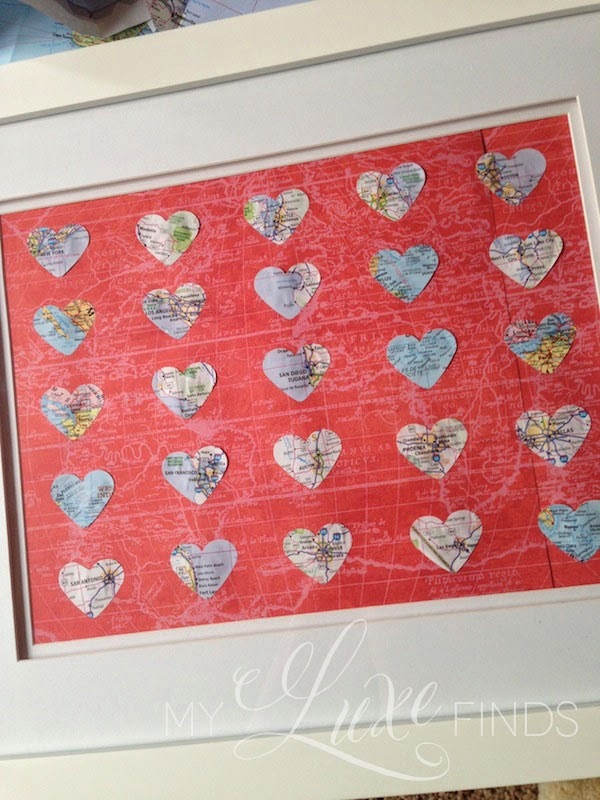 You could totally do this craft for under $20 by printing out your own map pictures and free handing the hearts if you don't have a heart punch handy. I just used regular craft glue and a heart punch. Glue scrapbook paper to the back of the matting. Punch out hearts of the places you've visited. Turn the punch upside down so you can see what you're punching out. 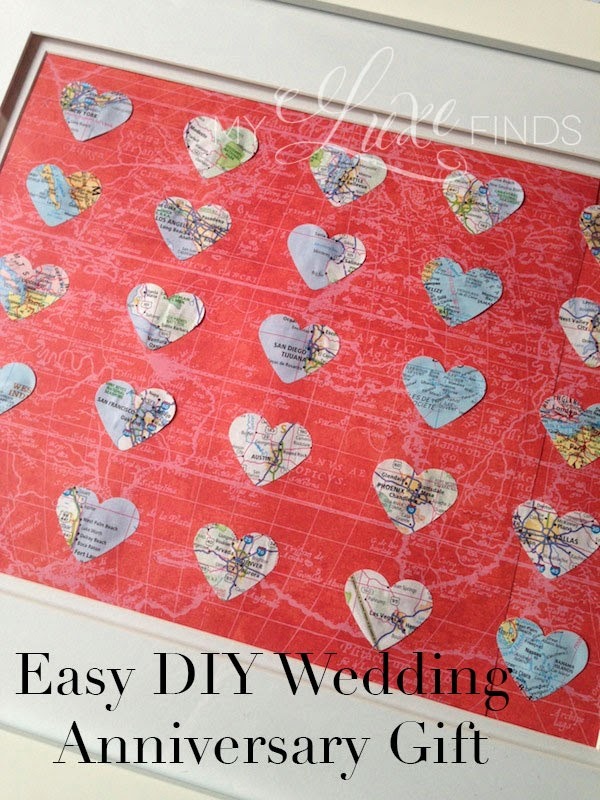 Glue the hearts onto the scrapbook paper and you're done!